Dimensions: Open Diameter: 6 1/8"
Stem Information: Bowl Stems for 6in. Note that rim is scalloped, and thus never came with a lid. 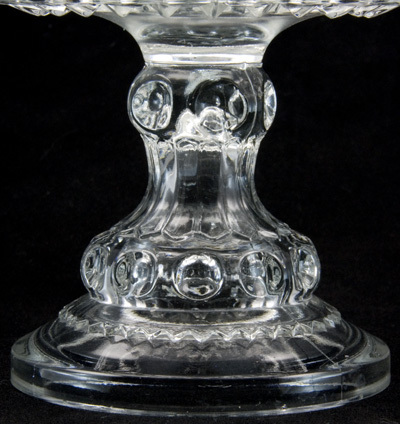 The stem is very similar to the Indiana Glass Wedding Bowl, 5". Description: Bowl Stems for 6in. Note that this stem has but one toothband, although the center section has a derived draped panel section. Stem is completely hollow.